During the past few years our team has changed names and personnel combinations. This year we return to the 2016 magical line-up. Without mentioning names, one of us gave birth last March, so couldn’t have joined us for the 2017 race. Now her baby is 1 year old, and totally independent (as expected from chicken’s life history traits), so she is back. Our goal is to enjoy a 24 h birding together, try to break our own record, and raise money for conservation. In late 2015 Adi has finished her MSc on passerine stopover ecology at the Life Sciences Department, Ben-Gurion University. Soon after she started her PhD in the same field. 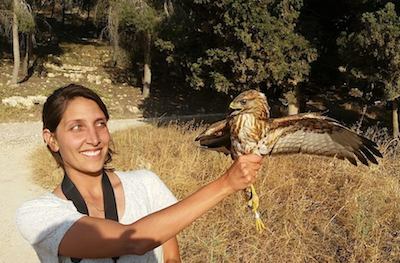 Her research takes place at various stop-over sites in the northern Negev, exploring fat deposition rates under different nutritional conditions, in hope to improve habitat quality for migratory birds. Adi is also involved in bat ecology research, exploring the effect of light pollution on bat activity. 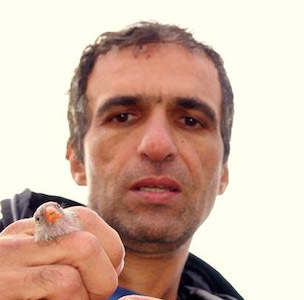 A Keen birder since the age of 16, working in many birding projects, nature conservation and bird migration in Israel. He is mainly cooperating with the Israeli Ornithological Center of the SPNI. 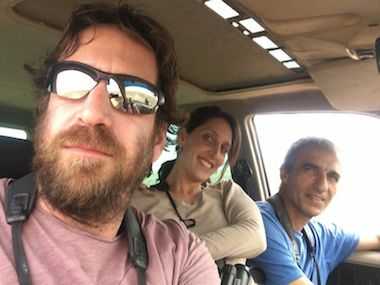 Barak has been involved in many ‘mega’ rarities finding throughout the last two decades, including 5 new species to Israel, two of which were new for the WP (Southern Pochard and the recent Asian House Martin) and new breeding species such as Thick-billed Lark. Started birding since the late 1970s, bird ringing since 1985, and bird photographing since 1994. In the late 1990s he did his PhD studying scrubland fragmentation owing to afforestation and its effect on bird communities in the northern Negev. He then spent some 9 years in North America, studying urban arthropod and bird communities in Arizona and tallgrass prairie bird populations in Oklahoma. 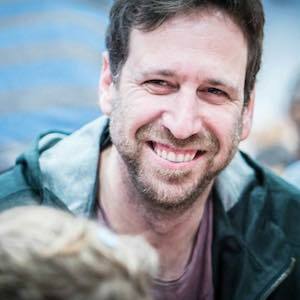 Since 2014 Eyal serves as an adjunct senior lecturer at the Life Sciences Department, Ben-Gurion University, where he studies stopover ecology and teaches a course on Avian Ecology.